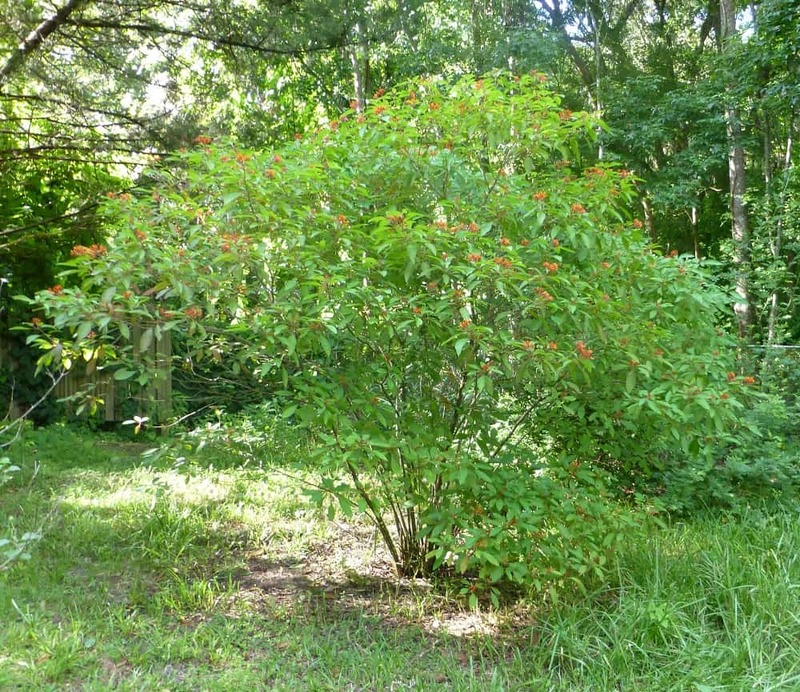 Firebush (Hamelia patens) is a Florida native shrub in the Rubiaceae, or madder, family. It is found growing naturally in woodland hammocks and along roadsides from central Florida southward to the Keys. In central Florida it tends to grow to about six feet in height and just about as wide. In southern Florida, or frost free areas, it can grow to fifteen feet in height. 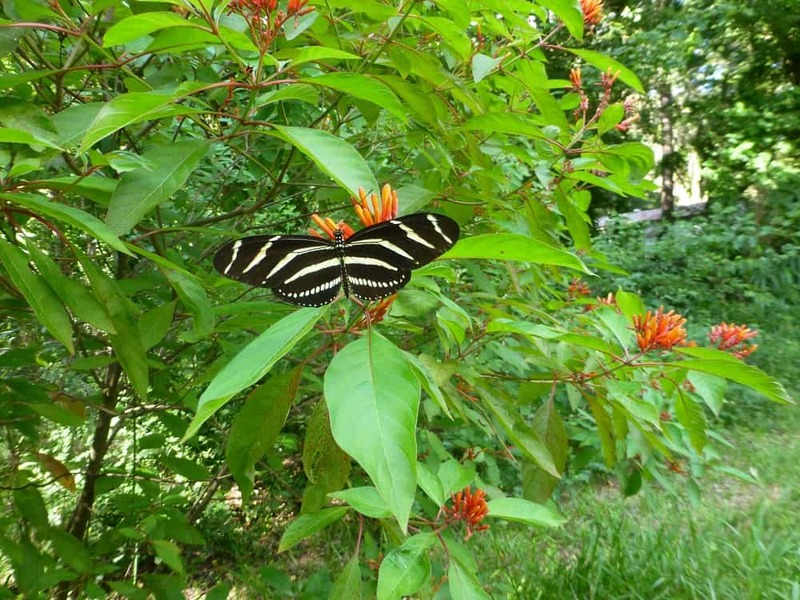 In the home landscape firebush can be planted in full sun to partial shade with average moisture. It seems to prefer the dappled sunlight provided by large trees. In full sun the foliage tends to get yellowish if it is not watered regularly. In partial shade it flowers well and the foliage stays a deep green. Once the plant becomes established it is virtually maintenance free, but it will be more lush if watered and fertilized once in a while. It keeps a rounded shape and doesn’t need to be deadheaded or pruned unless frost damage has occurred. If it has died back, from frost, the new growth will come up from the base of the plant rather than existing branches come spring so pruning dead wood off at the ground level may be desired to achieve a more neat appearance. I have many on my property and if I have the energy I prune them to the ground, if not I leave them to their own devices and the new growth comes up around the dead wood and it’s not really noticeable once the plant leafs out. Firebush leaves are simple, entire, and elliptic. They range in size from 2 to 6 inches long and 1 to 4 inches wide. The leaf stems (petioles) are a reddish orange in color. The leaves appear opposite each other at the leaf nodes in a circular pattern of 3 to 5 leaves. 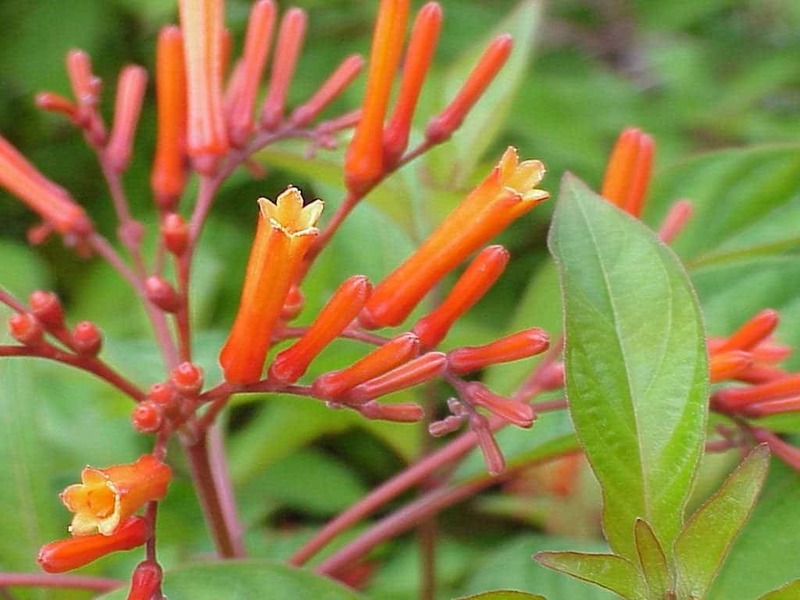 The flowers appear in clusters and are little reddish orange tubular flowers that grow up to an inch in length. 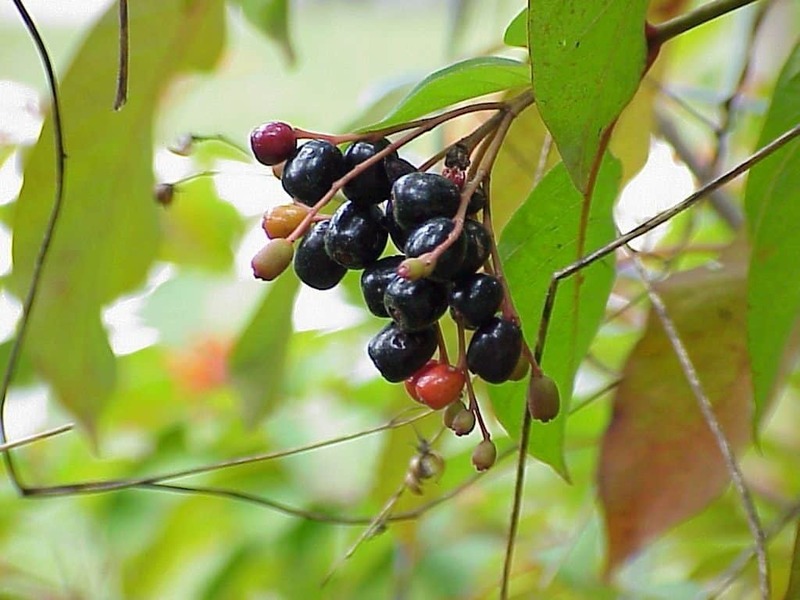 It flowers all year.The fruit is found in clusters and when mature is a plump, dark purple, berry with each being up to half an inch in width. The fruit is eaten by a variety of wildlife including birds, squirrels, and small mammals. Contained in each berry are many tiny, black, seeds that are about the size of a grain of sugar. I save seeds by cutting the berries in half (crossways) and letting them dry. Once dried I twist the dried fruit, between my fingers, allowing the seeds to drop out of the lateral chambers. Cutting the fruit crossways will allow easier seed removal from the dried fruit as the chambers run longways. The flowers are used as a nectar source by many different butterflies as well as ruby throated hummingbirds. The underside of its large leaves is a favorite roosting place for sulphur butterflies during inclement weather. Propagation can be achieved by rooting cuttings and sprouting seeds. Clearly, transplanting seedlings, or rooting cuttings, is the much faster route to a larger plant. The seeds are very small and will dry out quickly so it is best to start seeds in a container with a lid or other covering that will keep in the moisture. Also use a seed starting mix, or peat, or something fine enough so the seeds don’t get lost in the soil. I actually sift my seed starting mix to make sure it is fine enough. Be sure to mist the seeds with water every day and do not let them dry out. Also, do not let them mold. Keep an eye on them. Check for signs of sprouting, which takes from two to three weeks. Once the first pair of true leaves appears begin to harden them off by gradually introducing them to sunlight and making sure there is enough soil to cover the rootlets.